Seventh Street Books, 9781616140687, 240pp. FROM THE EDGAR® AWARD-NOMINATED AUTHOR OF THE DETECTIVE SEAN DUFFY NOVELS Colonial New Guinea—1906: a small group of mostly German nudists live an extreme back-to-nature existence on the remote island of Kabakon. Eating only coconuts and bananas, they purport to worship the sun. One of their members—Max Lutzow—has recently died, allegedly from malaria. But an autopsy on his body in the nearby capital of Herbertshöhe raises suspicions about foul play. Retired British military police officer Will Prior is recruited to investigate the circumstances of Lutzow’s death. At first, the eccentric group seems friendly and willing to cooperate with the investigation. They all insist that Lutzow died of malaria. Despite lack of evidence for a murder, Prior is convinced that the group is hiding something. Things come to a head during a late-night feast supposedly given as a send-off for the visitors before they return to Herbertshöhe. Prior fears that the intent of the “celebration” is not to fete the visitors but to make them the latest murder victims. Adrian McKinty is the author of eighteen novels, including the acclaimed Detective Sean Duffy novels. Rain Dogs is winner of the 2017 Edgar® Award – Best Paperback Original. Gun Street Girl was shortlisted for the Anthony, Ned Kelly, and Edgar® Awards. The Cold Cold Ground won the Spinetingler Award. I Hear the Sirens in the Street won the Barry Award and was shortlisted for the Ned Kelly Award. In the Morning I'll Be Gone won the Ned Kelly Award and was selected by the American Library Association as one of the top-10 crime fiction novels of 2014. 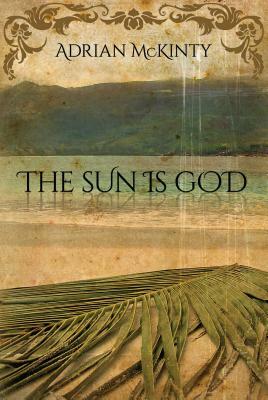 McKinty is also the author of the standalone historical The Sun Is God. Born and raised in Carrickfergus, Northern Ireland, McKinty was called "the best of the new generation of Irish crime novelists" in the Glasgow Herald.